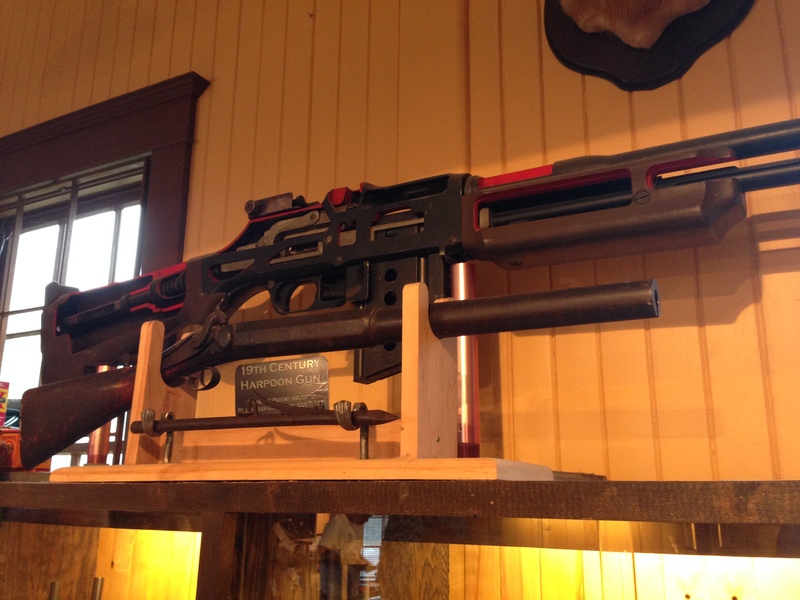 Earlier this year, I visited Outpost Armory in Tennessee, and decided it might be fun to start writing about gun stores I visit in my travels. Today’s piece is on a store close to home on the southwest side of Austin that I’ve passed dozens of times on my way out to the ranch. 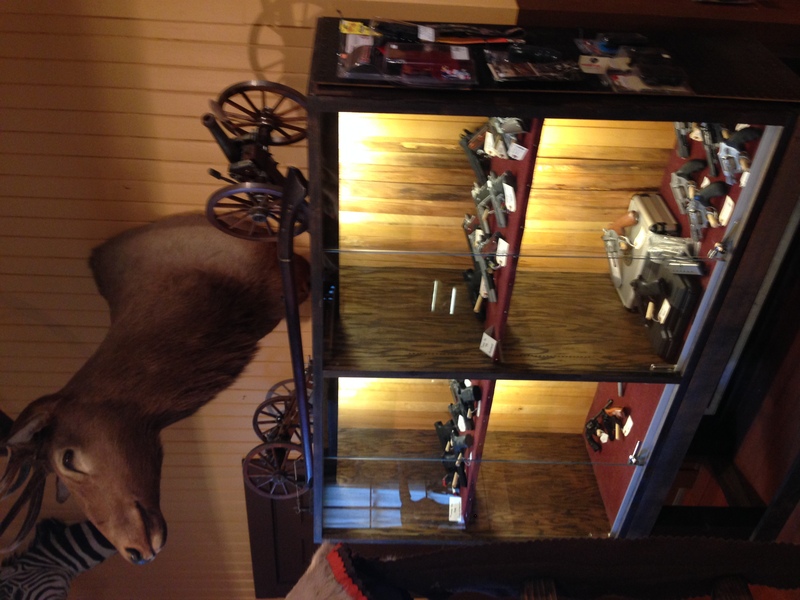 Set in what appears to be a former rail station, Storied Firearms is a small gun store that offers an old timey feel. A picture is worth a thousand words. 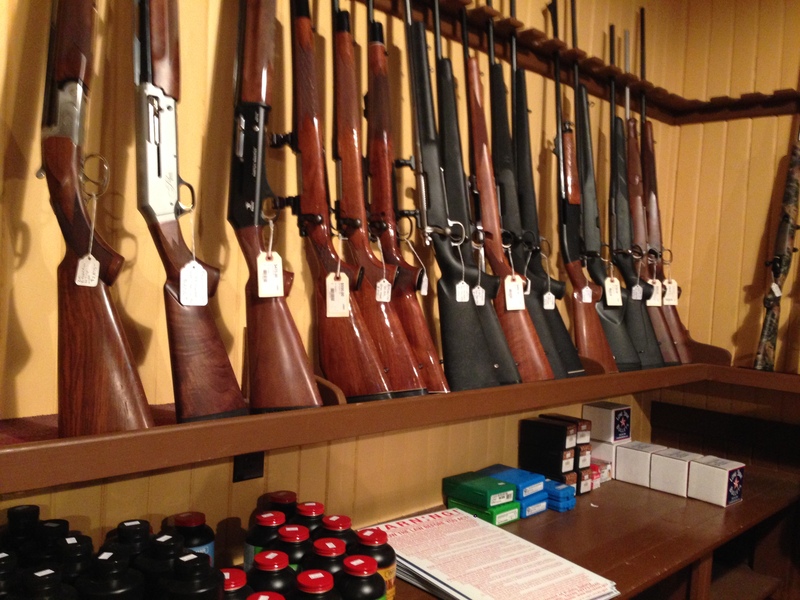 The selection of guns and gear is pretty good given the small footprint of the store. Charlie Harris, the owner, tells me that they can special order anything you need and looking at their FaceBook page, they seem to get some pretty boutique items. Like a PMR-30. They had my carry gun on the shelf for $20 more than I paid pre-Newtown and far less attitude than my original place of purchase. This is what I think a gun store is supposed to look like. 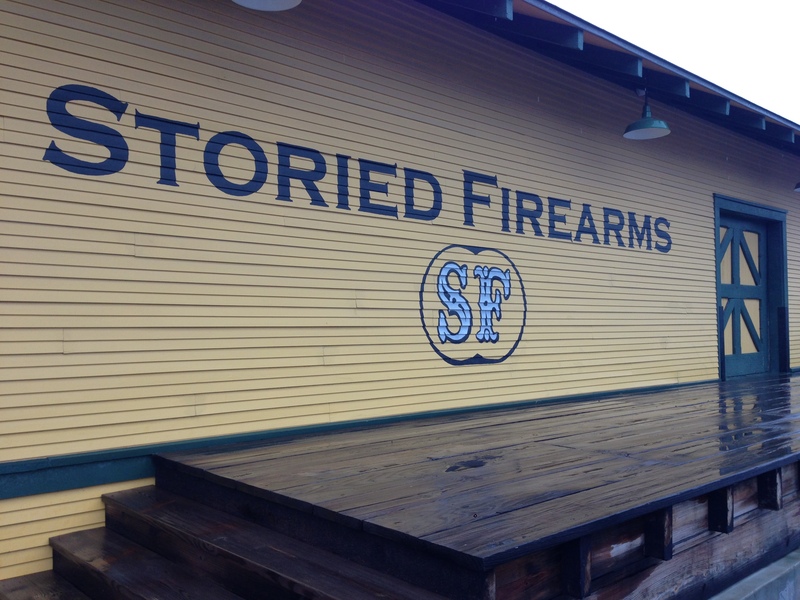 Storied Firearms bills themselves as “We’re the Austin Gun Store Without an Attitude”. I’m inclined to agree. Charlie is just a genuinely nice guy. Which is pretty rare based on my personal experience in Austin. Even when I gave him the opportunity to bad mouth an established gun store in town, he still had nice things to say. I appreciate that. Oh, and instead of charging $50 for FFL transfers like the other guys, Charlie charges $25 when you have your CHL. Compared to what? Do you know what the other stores in the area charge? For my area, $25 is comparable with the cheapest of the gun shops, and half the price of the most expensive ones. It might be more than you charge, but you’re two or three states away, so your price is completely irrelevant. I live in Florida and my LGS charges fifteen for transfers or he usually waives it if your a regular or buy something else that day. The minimum charge for the whole state of California is $25, part of which goes to the State to do the DROS. PTP charges are set statutorily I think), but if you buy a gun online and have the dealer just do the transfer, the typical fee is $65 and up. Wow…the place I usually use only charges $10. There’s another FFL here near me that only charges $5. I wouldn’t consider $25 to be a rip off, especially for a real storefront operation where you can show up at will during normal business hours, as opposed to making an appointment for a kitchen table transfer at an independent FFL. $20-25 is perfectly reasonable and not exactly a profit making enterprise and more like a public service. Less than $20 means they’re desperate to build up contacts and a client base. You start getting into $30’s, and it’s probably that they’d just rather sell you the firearm themselves and not jack around with transfers from other FFL’s. $40’s, $50’s and up, then yes, they’re trying to stick it to you. Go someplace else. Lucky Gunner shows multiple Austin FFL’s with transfer prices in the teens to the twenties, plus some that are higher. In Houston, in our household we use 10ring.com and pay $20 for transfers at their storefront. I’m down on the SE side, and Best Shot Range on 2351in Friendswood charges $30 but they give you a range pass there, which is normally $14. So, effectively, $16 and they’re super to deal with. Late to the party, but my FFL (here in AZ) charges $5 per form. And then nothing after I’d done a couple transfers. He started a business this year milling (very nice) AR lowers, and the cheap transfers convinced me to pick a couple up for build projects. Wins all around. Here in my area of PA, there is only one LGS that charges $25 and folks travel from miles around to use them. Most stores are in the 40-50 range. There are actually stores here that charge as much as $75 for a transfer. Same here. I go to the only guy I’m aware of that charges twenty-five, there is no one else that inexpensive. Pricks up the road charge $75.00 if it’s a gun you buy from anywhere other than their store. There is a place in York, PA charges $75. Gettysburg Trading Post is the cheapest for me at $25. Most store almost charge nothing if you purchase from the store, but the prices are a rip off. So, it is still more cost affective to purchase online. I want one of those harpoon guns. 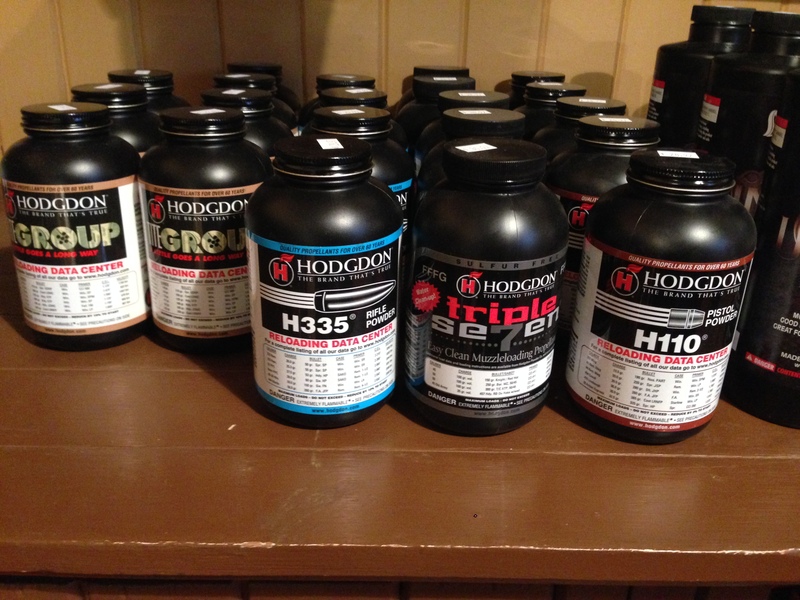 I want about 10 lbs of that H110!!!! You know if you guys are going to start doing this I’d say give my favor store a look. Mississippi Auto Arms over there in Oxford. I love doing business with those guys. Very cool! I’d take about 20 pounds of that h335. Great little shop. The staff is top-notch and made my wife feel very welcome and comfortable when she was a newbie shopping around for her EDC. My NJ FFL charges $25 and he’s the cheapest I’ve dealt with. Most of the others hit you for $50. On top of that is $15 for NICS but that’s uniform across the board. Do Ray’s Hardware next time you are in Dallas. It is a very cool old school shop near downtown. My guy charges $30, and he is by far the cheapest around. $40 or $50 is way more common. My local store in Puget Sound here charges $30 and is helpful and attitude-free, which I find to be just fine. I’ve done several transfers through these guys. They are nice people, but have quoted me 150.00 to transfer 5 AR lowers from the same dealer. That was a little irritating. Today I stopped in to pick up my vz2008 that came, nobody in there except a friend of Charlie’s wife was visiting with. I said,” you have a gun for me”. She asked, ” when did it come in”? I said today, she said,” oh I need 24 hours to log the guns in before you get it”. I thought, you’re sitting here BS ing with a friend, but you don’t have time to take 15 seconds to log my gun and do the transfer. She would rather have me make another trip in because she wants to sit and chat with a friend. I guess I don’t get it ,being a hard worker in the service industry myself. I do my best to satisfy customers and this kinda left a bad taste for the 2md time. I could totally understand if they were busy, but I stopped in because there was only one car in the lot. I will be searching for a new FFL, not because they’re terrible, I just think there are others that would like to pay more attention to repeat customers.